John Constable wrote that “the skies were the chief organ of sentiment” in landscape painting, and this feeling was echoed by early landscape photographers. However, the natural rendition of skies and clouds presented a major technical problem for all photographers of the period. Early photographic emulsions weren’t equally sensitive to all parts of the spectrum. A negative correctly exposed for the landscape left the sky far overexposed. 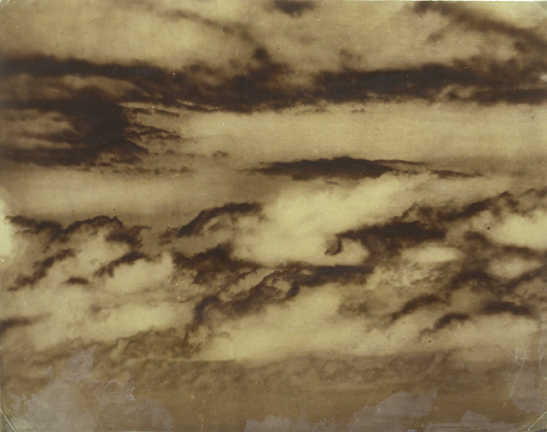 While most 19th century photographers employed various techniques to get around the problem (painting out the sky, combination printing), Roger Fenton (September Clouds, centre) successfully photographed both landscape and clouds simultaneously. Two of Fenton’s photographic prints from the National Media Museum Collection were recently loaned to the Leopold Museum in Vienna for their Clouds: Fleeting Worlds exhibition. 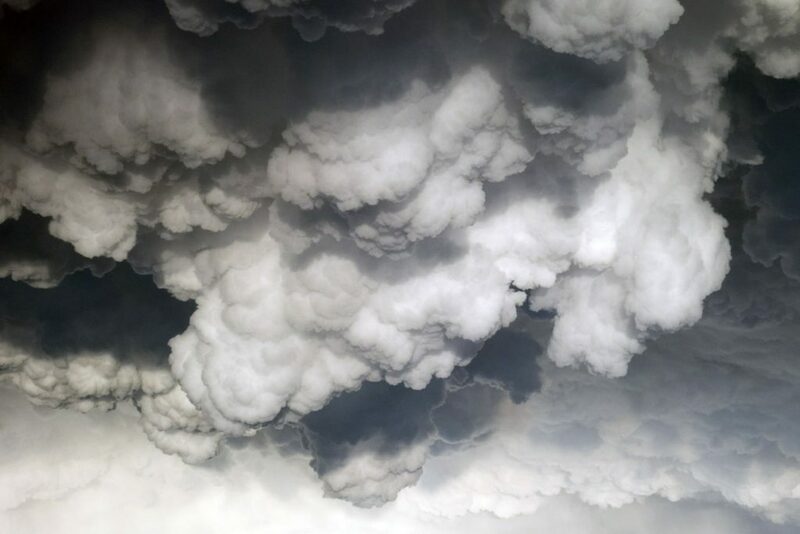 Colin Harding talks about photographing clouds on the National Media Museum blog.